Aurora: Becoming A Beauty—Elle Fanning reveals her lifelong love of Disney’s original animated classic. From Fairy Tale To Feature Film—Reimagining Maleficent for a new generation. Building An Epic Battle—Creating the clash between Maleficent and King Henry’s forces. Classic Couture—Examine Maleficent’s spellbinding head wraps and jewelry. Maleficent Revealed—Explore the layers of extraordinary special effects. She benevolently protects her home, the forest kingdom over which she presides, but a betrayal turns her pure heart stone cold. Princess Aurora is a curious and thoughtful child who develops a bond with nature that rivals only Maleficent's. Diaval is Maleficent's loyal servant, who, on her command, can take on different forms to suit her purposes. A childhood friend of Maleficent's who comes from the human kingdom. Over time he becomes consumed with his ambition. Read about some of your favorite Maleficent moments. 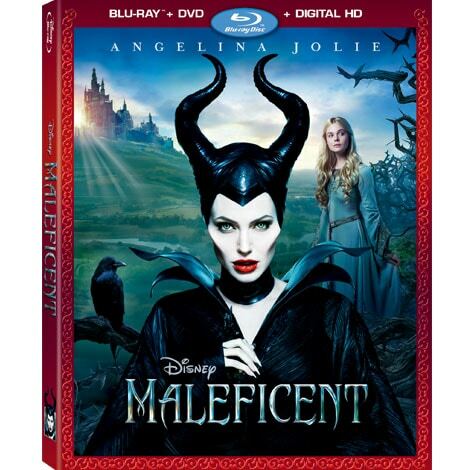 Take a peek at Maleficent, now on Blu-ray™ and Digital HD. Tom Hanks and Emma Thompson bring to life the untold true story about the origins of one of the most treasured Disney classics of all time. John Lee Hancock (The Blind Side) directs this acclaimed film that reveals the surprising backstory behind the making of Mary Poppins. Determined to fulfill a promise to his daughters, Walt Disney (Hanks) tries for 20 years to obtain the rights to author P.L. Travers’ (Thompson) beloved book. Armed with his iconic creative vision, Walt pulls out all the stops, but the uncompromising Travers won’t budge. Only when he reaches into his own complicated childhood does Walt discover the truth about the ghosts that haunt Travers, and together, they set Mary Poppins free! From Disney comes two-time Oscar® winner Brad Bird’s riveting, mystery adventure “Tomorrowland,” starring Academy Award® winner George Clooney. Bound by a shared destiny, former boy-genius Frank (Clooney), jaded by disillusionment, and Casey (Britt Robertson), a bright, optimistic teen bursting with scientific curiosity, embark on a danger-filled mission to unearth the secrets of an enigmatic place somewhere in time and space known only as “Tomorrowland.” What they must do there changes the world—and them—forever. Featuring a screenplay by “Lost” writer & co-creator Damon Lindelof and Brad Bird, from a story by Damon Lindelof & Brad Bird & Jeff Jensen, “Tomorrowland” promises to take audiences on a thrill ride of nonstop adventures through new dimensions that have only been dreamed of.